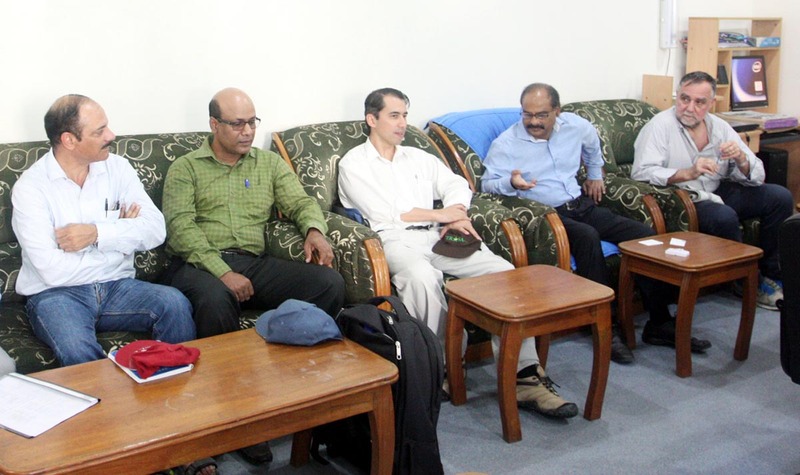 International Rice Research Institute (IRRI), Representative for Bangladesh Dr. Paul Fox visited Bangabandhu Sheikh Mujibur Rahman Agricultural University (BSMRAU), Gazipur on 28 Oct’15 Wednesday at mourning. The Vice Chancellor of BSMRAU Prof. Dr. Md. 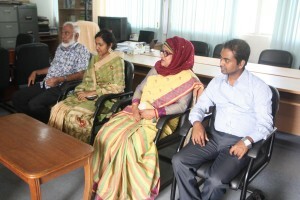 Mahbubar Rahman welcomed the distinguished guests at his office and discussed relating to collaborative rice research activities performed by ACI at the university. 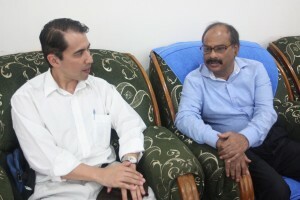 Mr. Bert Collard, Dr. R. K. Singh and Dr. Md. Rafiqul Islam rice scientists of IRRI and Prof. Dr. M. A. Khaleque Mian and Prof. Dr. Nasrin Akter Ivy from the department of Genetics and Plant Breeding, BSMRAU were present at the discussion program. 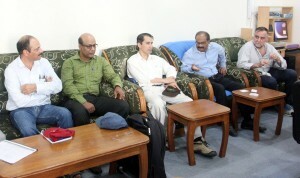 At the end of the discussion the distinguished guests went around the research fields of the university.